Professor Ruth Pickering is a Professor of Medical Statistics within the Faculty of Medicine at the University of Southampton. 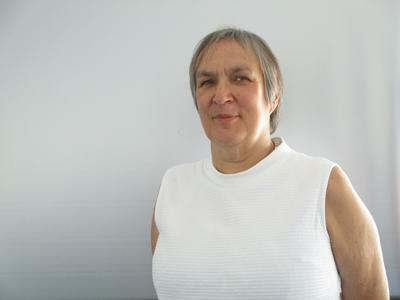 Ruth is a medical statistician in the Faculty of Medicine involved in both teaching and research. Her areas of collaboration have largely been in the care of the elderly, particularly balance and falling in Parkinson’s and stroke. She is currently involved in projects covering many other areas of health care, including in-hospital nursing care, identifying obstructive sleep apnoea in Down syndrome children, and long term survivorship following prostate cancer. In addition as a result of teaching statistics to postgraduate students and researchers in the Faculty, she has an interest in the quality and reporting of statistics in laboratory science. Her main research interests have arisen from the collaborative work described above especially from randomised controlled trials, and evaluations of diagnostic tests. It has led to particular interests in methods used in measurement error; mixed models; and more recently to regression models for count data. Her current PhD student is looking at how best to fit outcome counts of falls from trials in Parkinson’s using negative binomial models. Following degrees in Mathematics and Statistics, Ruth was awarded her PhD from the University of Glasgow under the supervision of Gordon Murray. She did her PhD whilst working in a Government funded research unit analysing routinely collected Scottish maternity and neonatal records. Her PhD concerned regression models for categorical data. She then moved to Southampton, and has been a lecturer, senior lecturer, associate professor and now professor in Medical Statistics. During her time here she has been involved in a wide variety of studies in many areas, particularly but not exclusively relating to problems encountered by the elderly. She reviews for several journals on a regular basis, is on the grant awarding panel of Parkinson’s UK, and review applications for funding to several NIHR streams. Ruth is actively involved in teaching statistics to medical students and health professionals on several masters programmes in the Faculty, and has also taught the module on clinical trials (Masters in Statistics with Application in Medicine; Faculty of Social, Human & Mathematical Sciences) for many years. As a result of teaching statistics to postgraduate researchers in laboratory science, she has supervised students conducting reviews of the statistics used, and their manner of reporting in experimental biology. Chivers Seymour, K., Ashburn, A., Pickering, R., Roberts, H., Ballinger, C., & Kunkel, D. (Accepted/In press). A multicentre, randomised controlled trial of PDSAFE, a physiotherapist-delivered fall prevention programme for people with Parkinson’s. Journal of Neurology, Neurosurgery & Psychiatry. Bridges, J., Pickering, R. M., Barker, H., Chable, R., Fuller, A., Gould, L., ... Griffiths, P. (2018). Creating Learning Environments for Compassionate Care (CLECC): a feasibility study. Health Services and Delivery Research. Goodwin, V. A., Pickering, R., Ballinger, C., Roberts, H., McIntosh, E., Lamb, S., ... Ashburn, A. (2015). A multi-centre, randomised controlled trial of the effectiveness of PDSAFE to prevent falls among people with Parkinson's: study protocol. BMC Neurology, 15, 81. DOI: 10.1186/s12883-015-0332-2. Westwood, G. P., Pickering, R., Latter, S., Little, P., Gerard, K., Lucassen, A., & Temple, K. (2012). A cluster-randomised factorial trial of a primary care specialist genetics service. British Journal of General Practice. Chappell, P., Metcalf, C., Burridge, J., Yule, V., & Pickering, R. M. (2010). Constant angular velocity of the wrist during the lifting of a sphere. Journal of Medical Engineering & Technology, 34(4), 274-284. Stack, E., Pickering, R., Pressly, V., McElwaine, T., Frankel, J., & Roberts, H. (2008). Same patient, different setting: to what extent do mobility measures concur? Age and Ageing, 38, P.ii60. Johnson, C. D., Roussou, P., Harris, S., & Pickering, R. (2006). Combined scaling of the responses of patients with pancreatic disease to the Eortc Qlq C30 and Qlq Pan26. Pancreas, 33(4), p.472. Kendrick, T., Simons, L., Mynors-Wallis, L., Gray, A., Lathlean, J., Pickering, R., ... Thompson, C. (2005). A trial of problem-solving by community mental health nurses for anxiety, depression and life difficulties among general practice patients. The CPN-GP study. Health Technology Assessment, 9(37), 1-104. Westwood, G., Little, P., Pickering, R. M., Temple, I. K., Latter, S. M., & Lucassen, A. M. (2005). Referrals to clinical genetics services: GPs' attitudes and practice. Journal of Medical Genetics, 42, pp.S27. Acharya, N. V., Pickering, R. M., Wilton, L. W., & Shakir, S. A. (2005). The safety and effectiveness of newer antiepileptics: a comparative postmarketing cohort study. Journal of Clinical Pharmacology, 45(4), 385-393. Westwood, G., Temple, I. K., Lucassen, A. M., Pickering, R. M., Latter, S. M., & Little, P. (2004). A clustered randomised controlled trial of the location of genetic counsellor clinical genetics appointments. Journal of Medical Genetics, 41, pp.S45. Ibrahim, A. E., Pickering, R. M., Gawne-Cain, M. L., King, S., Lees, P. D., & Ellison, D. W. (2004). Indices of apoptosis and proliferation as potential prognostic markers in non-functioning pituitary adenomas. Clinical Neuropathology, 23(1), 8 - 15. Kendrick, T., Simons, L., Thompson, C., Mynors-Wallis, L., Lathlean, J., Pickering, R., & Gerard, K. (2004). Trial of problem solving by community psychiatric nurses (CPNs) for anxiety, depression and life difficulties among general practice patients (the CPN-GP study). Journal of Affective Disorders, 78(Supplement 1), S44-S44. Onslow, L., Roberts, H., Steiner, A., Roberts, A., Powell, J., & Pickering, R. (2003). An integrated care pathway for fractured neck of femur patients. Professional Nurse, 18(5), 265-268. Roberts, H., Pickering, R. M., Powell, J., Onslow, E., & Steiner, A. (2003). Evaluation of the impact of a care pathway for femoral neck fracture. (Paper presented at Communications to the British Geriatrics Society Autumn Meeting, 17th-18th October 2002, London). Age and Ageing, 32(Supplement 1), p.i22. Thornett, A. M., Pickering, R. M., Willis, T., & Thompson, C. (2002). Membership of the Royal College of General Practitioners and recognition of depression in primary care. British Journal of General Practice, 52(480), 563-566. Roberts, L., Little, P., Cantrell, T., Chapman, J., Langridge, J., & Pickering, R. (2002). Recruiting patients with back pain in primary care. The Journal of Bone and Joint Surgery, 84B. Simons, L., Mynors-Wallis, L., Pickering, R., Gray, A., Brooking, J., Thompson, C., & Kendrick, T. (2001). A randomized controlled trial of problem solving for anxiety, depression and life difficulties by community psychiatric nurses among general practice patients: Background and method. International Journal of Psychiatry in Clinical Practice, 7(4), 129-135. Wilton, L., Heeley, E., Pickering, R., & Shakir, S. A. W. (2001). Comparative study of mortality rates and cardiac dysrhythmias in post-marketing surveillance studies of sertindole and two other atypical antipsychotic drugs, risperidone and olanzapine. Journal of Psychopharmacology, 15(2), 120-126. Ye, S., Dhillon, S., Turner, S. J., Bateman, A. C., Theaker, J. M., Pickering, R. M., ... Howell, W. M. (2001). Invasiveness of cutaneous malignant melanoma is influenced by matrix metalloproteinase 1 gene polymorphism. Cancer Research, 61(4), 1296-1298. Pomeroy, V. M., Warren, C. M., Honeycombe, C., Briggs, R. S. J., Wilkinson, D. G., Pickering, R. M., & Steiner, A. (1999). Mobility and dementia: Is physiotherapy treatment during respite care effective? International Journal of Geriatric Psychiatry, 14(5), 389-397. Little, P. S., Cantrell, E. C., Roberts, L., Chapman, J., Langridge, J., & Pickering, R. (1998). Why do GPs perform investigations? the medical and social agendas in arranging back X-rays. Family Practice, 15(3), 264-265. Barker, H., Griffiths, P., Mesa Eguiagaray, I., Pickering, R., Gould, L. J., & Bridges, J. (2016). Quantity and quality of interaction between staff and older patients in UK hospital wards: a descriptive study. Paper presented at RCN International Nursing Research Conference, Edinburgh, . Tedesco Triccas, L., Burridge, J., Hughes, A-M., Pickering, R., Verheyden, G., Desikan, M., & Rothwell, J. (2014). A systematic review of the application of transcranial direct current stimulation and rehabilitation for the upper limb in stroke. Poster session presented at World 8th World Congress for NeuroRehabilitation, Turkey. Fitton, C., Fazakarley, L., Ballinger, C., McLellan, D. L., Pickering, R., & Ashburn, A. (2010). Content and use of individual home-based exercise and strategy programmes: intervention for a RCT of repeat fallers with Parkinson’s Disease (PD). Poster session presented at Parkinson’s UK Research Conference, United Kingdom. Kwan, J., Perry, V. H., Pickering, R., Hyndman, D., Fitton, C., & Ashburn, A. (2010). The impact of stroke-associated infection on survival in the first three years. Poster session presented at The 5th UK Stroke Forum, United Kingdom. Pickering, R. M., Hyndman, D., Fitton, C., & Jenkinson, D. (2007). Recruitment in stroke follow-up studies. Poster session presented at The 2nd UK Stroke Forum, United Kingdom. Weatherall, M., Pickering, R. M., & Harris, S. (2005). Graphical sensitivity analysis with different methods of imputation for a trial with probable non-ignorable missing data. Wellington Statistics Group (WSG), . Burridge, J. H., Turk, R., Notley, S. V., & Pickering, R. M. (2005). Relationship between upper limb function and impaired motor control in a sample of people with hemiplegia following stroke. Motor Control Conference, From Basic Motor Control to Functional Recovery IV, . Kendrick, T., Simons, L., Thompson, C., Mynors-Wallis, L., Lathlean, J., Pickering, R., & Gerard, K. (2004). A trial of problem-solving by community mental health nurses for anxiety, depression and life difficulties among general practice patients. The CPN-GP study. RCN International Nursing Research Conference, . Kendrick, T., Simons, L., Mynors-Wallis, L., Gray, A., Lathlean, J., Pickering, R., ... Thompson, C. (2004). Trial of problem-solving by community psychiatric nurses (CPNs) for anxiety, depression, and life difficulties among general practice patients (CPN-GP study). Society for Academic Primary Care Annual Scientific Meeting, . Turk, R., Burridge, J. H., Notley, S. V., & Pickering, R. M. (1970). Development of indices to characterise motor control during a wrist tracking task. Motor Control Conference IV MCC2005 From Basic Motor Control To Function Recovery IV, .